The Daily Practice of a Mevlevi should include at least a half-hour ofzhikr every morning. The standard Mevlevi Zhikr which has been taught through the 99 Day Program and elsewhere, includes a recitation of the Fatiha, 100 Estaufrullah, 100 La Illaha Il Allah, and 300 Allah. In order that these practices should not become too mechanical, I sometimes suggest that a student begin with a clear intention to recite 100 of any zhikr with full presence. 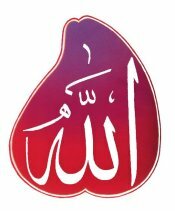 If you find yourself at some point having lost presence for more than one La illaha il Allah, for instance, begin again from the beginning. It is good to have tesbih beads for this exercise. Don’t worry if you blank out for a second or two. Noone’s concentration is perfect. But if you find yourself counting beads and you know that you have not been present for one or more beads, then start again. Make an intention to complete 100 repetitions of something with complete presence. And if this is impossible, then set a time limit. No one should spend all day trying to do this! The ritual prayer, Salaah (namaz), is also encouraged. Salaah offers an experience of surrender and a grounding that would be difficult to achieve by any other means. Nevertheless, if one feels resistance to this practice, it would be desirable to punctuate one’s day with moments of prayer in some form, and to have some physical practice like yoga or tai chi. The grace of Salaah will be the subject of a future article, but it is worth mentioning that it is a bioenergetic discipline, a means of integration of the bodymind, a way to cultivate presence, a means of establishing resonance with a source of baraka, and an act of devotion to God.